Kagiso Rabada picked up four wickets in Hyderabad. Image: BCCI/SPORTZPICS. Sunrisers Hyderabad sank to their third straight defeat as Delhi Capitals pacers decimated their line-up, taking 10 wickets for 44 runs in a thumping 39-run win on Sunday. Delhi made 155-7 and in the chase, Hyderabad were powered by in-form opening pair of David Warner and Jonny Bairstow. 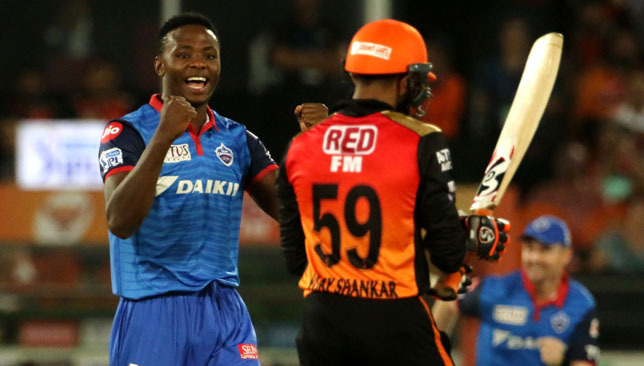 But Keemo Paul started their slide by taking three wickets and then pace ace Kagiso Rabada ran through the lineup with 4-22 as Sunrisers went from 72-0 to 116 all out. It was the fourth defeat overall for Sunrisers while Delhi rose to second position with their fifth victory. Colin Munro came in at one down for Delhi after openers Prithvi Shaw and Shikhar Dhawan were removed cheaply by new Sunrisers quick Khaleel Ahmed. Teaming up with captain Shryeas Iyer (45 off 40), Munro went about attacking the Sunrisers bowlers, hitting four fours and three sixes during his 24-ball 40 before edging a drive behind off mystery spinner Abhishek Sharma. Munro’s was by the far the most impactful innings on a Hyderabad wicket that once again offered more than enough help to the bowlers. Sunrisers openers Warner and Bairstow once again gave Sunrisers a solid base. The in-form duo added 72 by the 10th over in pursuit of 156, which was decent if not spectacular. While Bairstow blasted his way to 41 off 31, Warner took time to get going on a sluggish pitch. However, as the required run rate crept over eight an over, Delhi pacers made life miserable for Sunrisers batsmen as they bowled a variation of cross seam and short deliveries to make the most of the pitch. West Indies all-rounder Paul set the ball rolling by dismissing opener Bairstow and captain Kane Williamson in successive overs. He added a third in the form of Ricky Bhui as Sunrisers got stuck at 101-3 in the 16th over. Rabada returned to take the wind out of Hyderbad’s sails, deceiving Warner (51 off 47) with a slower ball to be caught at mid-off. It was a procession thereafter as not a single Hyderabad batsman apart from the openers reached double digits. Rabada ended up with 4-22, pacer Chris Morris 3-22 and Paul 3-17 as Sunrisers were bowled out for 116, losing 10 wickets for 44 runs. India vice-captain Rohit Sharma will face off against national team skipper Virat Kohli. Royal Challengers Bangalore finally got the monkey off their back. 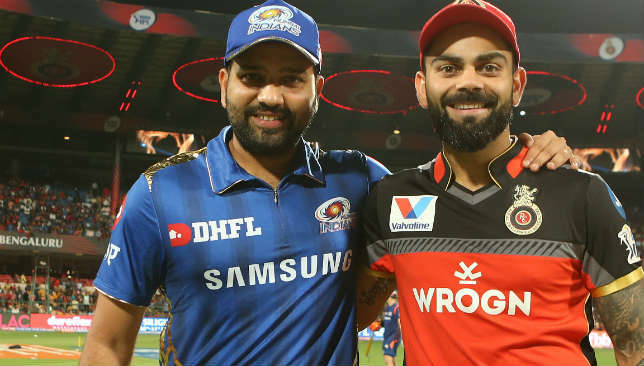 After starting their IPL 2019 campaign with a horror run of six straight losses, RCB got on the board thanks to – who else – AB de Villiers and Virat Kohli, who scored 59* (38) and 67 (53) respectively to ease their side to victory in a chase of 174 against Kings XI Punjab, a welcome result ahead of Monday’s game against Mumbai Indians, against whom they had a dramatic loss earlier in the season. Now, they can set about salvaging this season and make an unlikely push for the playoffs. No team has ever finished in the top four after losing their first six games, so Kohli’s team will be making history if they can pull off that feat. But there is a possibility that they finish the league stage on 14 or even 16 points. The latter figure is usually enough to make the playoffs, and teams have even managed that with 14 points as well. All is not lost for RCB. They are also set to get a boost to their much-maligned bowling attack, with Dale Steyn joining up with the team having gone unsold at the auction. Monday’s game will come too soon for the fiery South African, but if they can get a win and then add the veteran pacer to the fold, Kohli and company may build up a head a steam for the rest of the season. Mumbai are looking to bounce back following a surprising loss to Rajasthan Royals on Saturday that put a halt to their three-game winning run. The setback brought into focus a season-long concern: the middle-overs slowdown that leaves too much to do for Hardik Pandya and Kieron Pollard at the end of the innings. Batting Pollard at 4 was supposed to be a solution, though the results have been mixed. The West Indian hit his highest-ever IPL score against Kings XI Punjab, a 31-ball 83 to power a chase of 198, came up the order again on Saturday and played a stuttering innings of six off 12, setting himself up for a big finish but then getting out before he could provide it. It’s an experiment worth persisting; getting Pollard more time in the middle is a sound strategy. It would help if Rohit Sharma can hit top form. The Mumbai captain has been out for less than 15 in three of his six innings so far, though he goes into this game on the back of a well-made 47. But Sharma, the India vice-captain up against his national team skipper in Kohli, will be looking for a big score now. Mumbai seamer Alzarri Joseph is reportedly out of the rest of the sIPL eason following a shoulder injury from the last game, which should result in Lasith Malinga coming back into the playing XI. Suresh Raina hit an unbeaten fifty in Kolkata. Images: BCCI/SPORTZPICS. 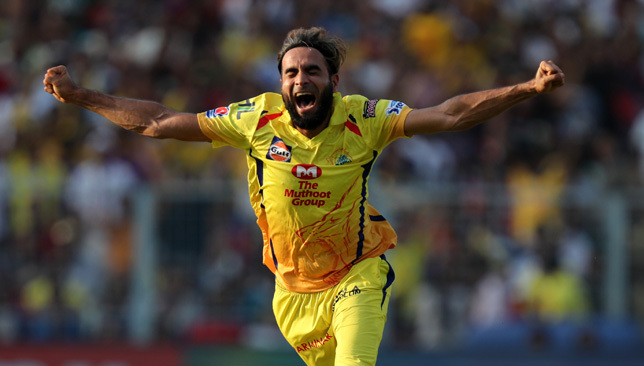 Chennai Super Kings maintained their stronghold at the top of the IPL 2019 table after securing a hard-fought five-wicket win over Kolkata Knight Riders at the Eden Gardens on Sunday. KKR posted a healthy 161-8 thanks to a marvellous 82 from Chris Lynn after Chennai veteran leg-spinner Imran Tahir broke their back by picking up 4-27. The chase was always going to be tricky as the wicket had slowed down by evening. 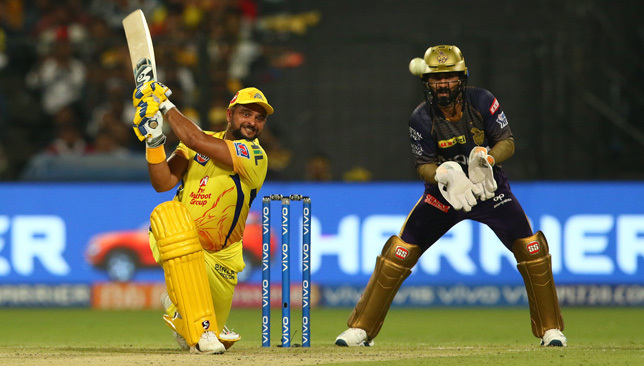 Sunil Narine (2-19) kept a lid on the scoring but Suresh Raina (58 not out of 42 balls) used his experience to take the match until the end and clinch victory with two balls to spare. It was the seventh win for CSK after eight games. They are just the third team to win seven out of their first eight games after Kings XI Punjab in 2014 and Mumbai Indians in 2010. It was a pitch on which every Kolkata batsman struggled for timing. Even the usually unforgiving Narine – back in the playing XI – was tied down by the surface that offered grip to seamers and spinners. He laboured to two off seven balls before falling to the variety of the bowler he generally feasts on – left-arm spinner Mitchell Santner. While the rest of the top order struggled to up the ante, Lynn – the second KKR player returning to the team – seemed to be batting on a different surface. He targeted the 14th over bowled by Ravindra Jadeja to get a move on, depositing the left-arm spinner for three successive sixes. His 82 off 51 balls with seven fours and six sixes was in stark contrast to the efforts of the rest of the batting line-up that had to fight tooth and nail to push the total past 160. Chennai leg-spinner Tahir has benefited from bowling on surfaces that have offered turn and bounce. But credit to the 40-year-old for being on the money every single time. Tahir took four wickets for 27, with three caught down the ground and one at deep square leg. While his wicket of Lynn was crucial, his biggest scalp came in the same 15th over in the form of Andre Russell. Wicket at that time saved at least 25 runs for Chennai. Kolkata superstar Russell has been on top of his game so far in IPL 2019. But Sunday just wasn’t his day. First he failed to get going with the bat and then with the ball, was spanked for four consecutive boundaries by Chennai opener Faf du Plessis in his only over. And just to cap a miserable day, Russell hobbled off the ground with what looked like a heel problem. With the Caribbean all-rounder already nursing knee and wrist issues, it was a terrible outing. Raina is a master of batting on sticky pitches. He likes to hang back and nudge the ball around, which is ideal on surfaces the ball is stopping. After surviving an lbw shout against Harry Gurney at the start, Raina gauged the pace of the wicket quickly. Five of Raina’s boundaries were late flicks and dabs on either side of the keeper, which proved that it was a pitch for deft touches and not power down the ground. The veteran southpaw eased his way to 58 off 42 and left it to Jadeja (31* off 17) to take risks. Jadeja went after KKR’s death specialist Gurney by taking three straight boundaries off him in the penultimate over to bring the equation down from 24 off 12 to eight off the final over. It was just a formality thereafter.